Sad that i didnt get to do my 50k I had planned for yesterday. I set off for a training run. Really focusing on foot placement and posture. Felt good to open the lungs and get some wind in the hair. Route was 7.5 miles total. Figured if a bunch of my clients are doing a 12k over in Port Townsend. I better be doing it too. 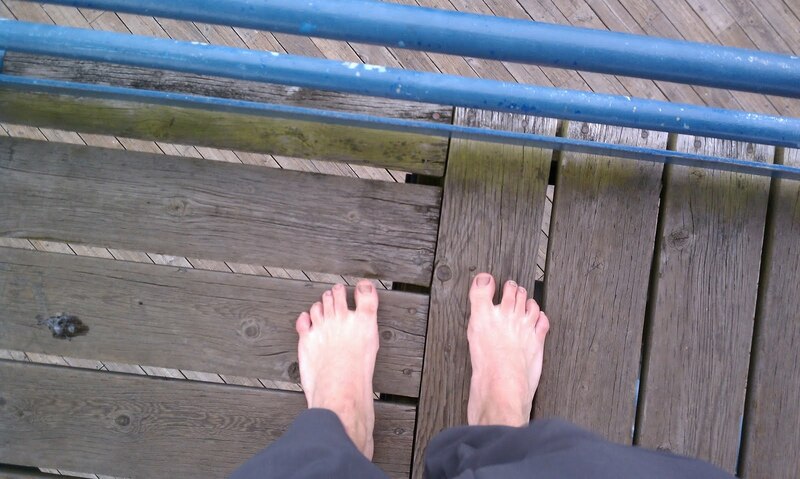 The last 3.5 miles i put my VFF KSO's on, since the route was way to rough on the feet after that point.